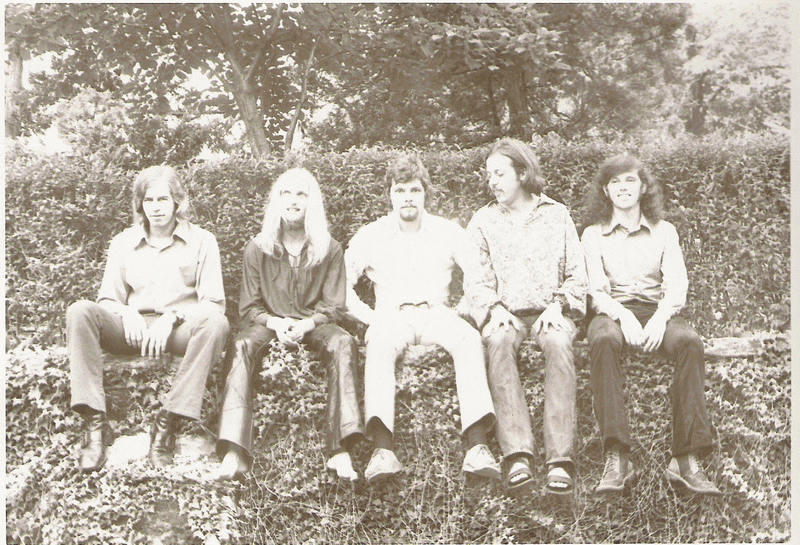 Columbus Ohio's "Osiris" was formed in September of 1970, when the band that had been known as J. D. Blackfoot went its separate ways. That band's Mercury album, "The Ultimate Prophecy" hadn't delivered the touring or success the band had anticipated, and the lead singer had begun calling himself by that name, and probably didn't want that to be a "band" name anymore. "J.D." went his way, singer Craig Fuller went on to form "Pure Prairie League" in southwest Ohio, and bassist Phil Stokes was starting a new band called "Westside L.M.F." Guitarist Jeff Whitlock, Drummer Dan "Tink" Waldron, and keyboardist Sterling Smith formed Osiris with Jeff's brother Roukue (pronounced "rook") Whitlock, and bass player Dave Hessler (formerly of The Esquires). With a powerful sound, reminiscent of Deep Purple, Grand Funk Railroad, Mountain, and other heavy bands of the time, Osiris wrote two powerful sets of original music. Following up on the suite of songs ("The Ultimate Prophecy)," they had written in J. D. Blackfoot, Waldron and Jeff Whitlock wrote a song suite called "Godhead," which harnessed the power of Whitlock's vocals with the classical flavor of Smith's keyboard playing, and the Led Zeppelin-like guitar stylings of Jeff Whitlock. Waldron's large double bass drum set, and Hessler's strong and fluid bass playing drove the songs with considerable horsepower. As they had been with the J. D. Blackfoot band, Dan's parents, Art & Donna Waldron were strong supporters of the music, allowing their basement to be used as a full time rehearsal and recording room. They also backed the band with a large Altec Lansing sound system, and a twenty foot straight truck to carry the production to gigs. Their first gig was opening for McKendree Spring at an outdoor festival at Art Park in Athens Ohio. A concert opening with Iron Butterfly followed. Gigs co-sponsored by local radio stations and in large clubs followed. They opened for Alice Cooper several times at Valley Dale, and at a downtown Columbus rock club called "The Electric Circus." They also appeared at the "Spring Music Festival," a large outdoor rock festival held on the Ohio State University Oval in the Spring of 1971, and a similar festival on the campus with MC5. In June of 1971, a friend of the band offered to pay for a recording session, but Roukue and Jeff had already decided to leave the band to pursue a direction more to their liking. Guitarist Mike Wheeler came on board. Mike had played with The Ebb Tides and Tree, bands that had evolved into "J. D. Blackfoot." Vocalist Dan Lawson, who had played with Shadowfax in Athens Ohio, and in The Grayps with Sterling joined, bringing the addition of his saxophone expertise. The band's sound was considerably more eclectic with this lineup, with some of the heavy density of the original lineup, but now with some country rock flavoring, and "funk" elements. The new Osiris recorded four of their new songs at Cleveland Recording, but the wide range in the material made it hard to categorize a "sound" or style for the band. This Osiris lineup opened three shows for the Mahavishnu Orchestra. They also played a show with the Raspberries at the Columbus Agora. They continued on for another year before drummer Dan Waldron left, and Paul Gannon (Portsmouth Ohio) joined on drums, bringing another lead vocal and songwriting element to it. The venues for original bands had shrunk considerably since the first Osiris gigs, and on New Year's Day, 1973 the band called it quits. Waldron still plays drums to this day, and Smith and Hessler would go on to form The Load a few months later. Dan Lawson also continued in music, later being a part of Owl Recording Studios with Smith and Hessler, before moving to New York.